One Set of Boomwhackers® Tubes with accompanying CD. With the 8 polyethylene percussion tubes musical fun can begin by simply whacking on one's thigh, hand, table, chair, etc. 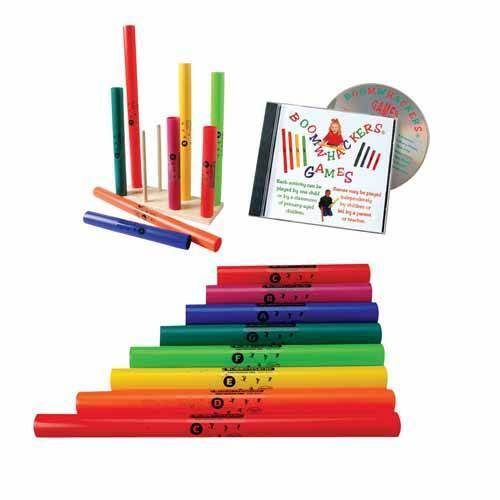 The CD includes 7 activities created for Boomwhackers® Tubes.